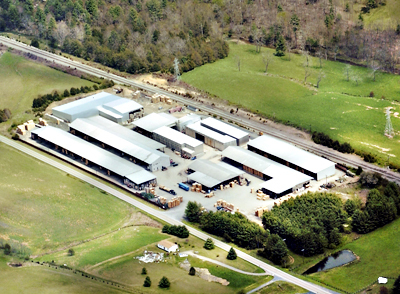 Located in Rockbridge County, Virginia, our Bells Valley yard is a dry kiln facility specializing in 4/4 - 6/4 Red and White Oak and 8/4 - 16/4 Poplar. 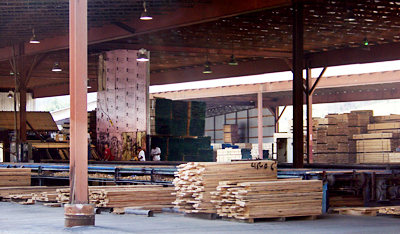 Blue Ridge Lumber maintains 800,000 board feet of air dry style pre-driers, 1,000,000 board feet of covered air dry sheds and 1,500,000 board feet of SII electronic computer controlled dry kilns at this location. 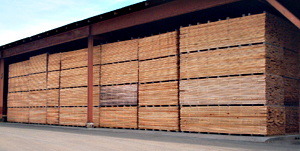 The Bells Valley yard carries an estimated 2,000,000 board feet of kiln dried lumber which is distributed worldwide. Lumber is supplied to Bells Valley from our two sawmills in Fishersville, Virginia as well as a band saw mill in Covington, Virginia.